The K&H Thermo-Kitty Café™ makes sure your outdoor cat always has access to food and water no matter how cold it is outside. Designed to withstand sub-temperature degree weather, the Thermo-Kitty Café is constructed from durable ABS plastic and comes with two removable, machine-washable bowls that can be used for food, water, or both. 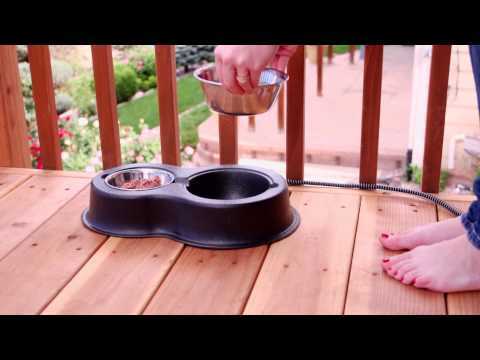 I already have one of these heated bowls for my feral cats and it works great for winter.